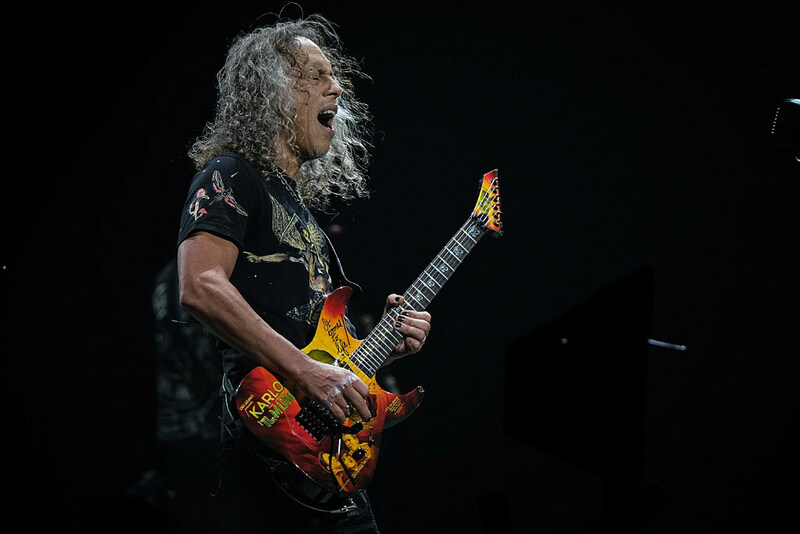 Metallica guitarist Kirk Hammett has shared his favorite albums of the month on Instagram, and they’re both excellent, if decidedly non-metal, picks: St. Vincent’s MASSEDUCTION (one of our favorite albums of 2017) and Thom Yorke’s score for Suspiria. The museum show in question is “It’s Alive,” featuring Kirk’s extensive collection of classic horror and sci-fi posters (he’s a big horror fan). The exhibit will open in Toronto’s Royal Ontario Museum on July 13, 2019, and run until January 5, 2020.